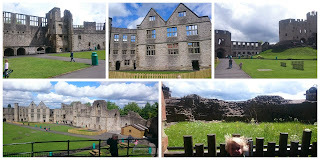 Yesterday we braced the rainy weather and ventured to Dudley Zoo and Castle, why go on a rainy day I hear you ask? Well mainly caused we not only pre booked to go but also we had friends coming down all the way from Bingley to visit our little old zoo and castle. We all thought it was be really lovely for Maft and his two adorable children to come down and visit and we'd all take the kids to the zoo for a fun filled day out. All week the weather report had chopped and changed from heavy rain to light rain to no rain but typically on Friday morning it read rain most of the day but this wasn't going to stop us having a fun day out and to be honest by the time Maft and his kids arrived the rain had gone away anyhows. Well we meet up on the car park at the zoo, (once Maft had eventually found the car park after he'd already driven past us once lol) and made our way in to the zoo. The children we're all so excited and all wanted to go separate ways to see first the animals they'd come to see, "lions first", "no penguin's first" Maft's two shouted, mine however shouted "Daddy I'm hungry, when lunch?". Maft and his son decided to make their way to the top of the hill by the traditional way of the chair lift whilst Tammy and I took the remaining children up on the land train, by doing this the children saw flamingos, various owls and two species of monkey. The rest of the day consisted of us walking round the zoo making sure everyone got to see all the animals they'd come to see, well everyone except poor Maft who'd come to see the black bear and guess what.... Yep no black bear came out to say hi = disappointed Maft. 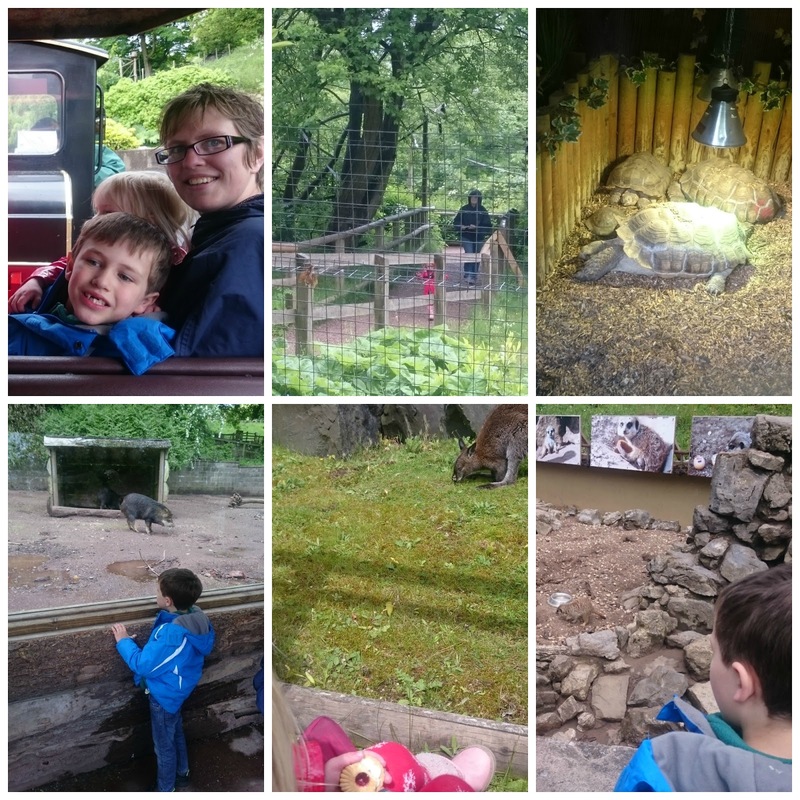 As well as having loads of fun and seeing many many different animals varying from flamingos to meerkats, from chimpanzees to tigers and giraffes to sea lions we got to do lemur walk, penguin walk and a walk through the wallabies area too. 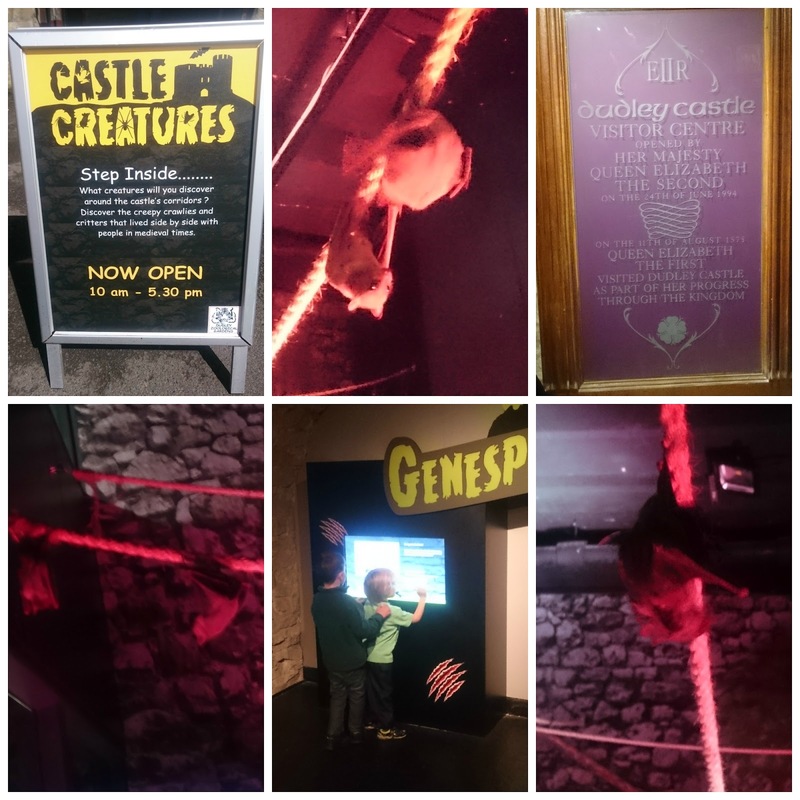 We also tried out the zoos newest attractive Castle Creatures, this was a walk through exhibit telling you about the history of the castle and what creepy crawlies could be found amongst the castle corridors over the years, before you exit the exhibit you get to see bats flying about which was great to see, we were even lucky enough to see the babies being feed too. 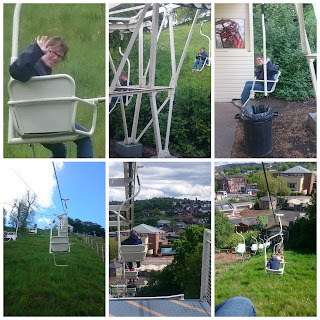 The last thing I had to try before we left the zoo was the chair lift as I knew I'd only moan that I hadn't gone on it once I was home and I'm so glad not only that they've restored this fabulous feature but that I've been on it. Its a lovely two minute ride up the hill over the monkeys playing below but also the journey back down is great too as you can see out for miles and miles. 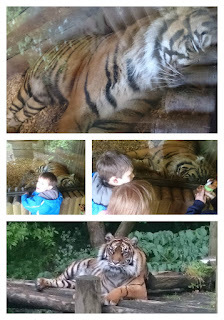 Well that brings a close to our fab day out at Dudley Zoo and Castle. As the weather was so lovely on Tuesday afternoon my wife and I decided that instead of just sitting in the garden doing nothing we'd take our youngest two to the park. 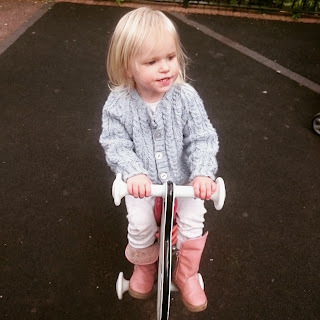 As TP is getting better at riding his bike as each day passes we put his bike in the boot of the car to take with us, as I was doing so I heard "Daddy, Daddy" as I turned round I was confronted by L-A holding her bike and now saying "me too, me too" so hers joined TP's in the boot of the car too. 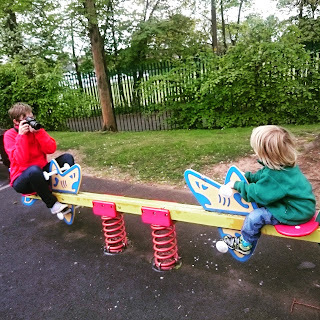 We took the kids to as park close to where we live which has a junior play area and a big kids area too. 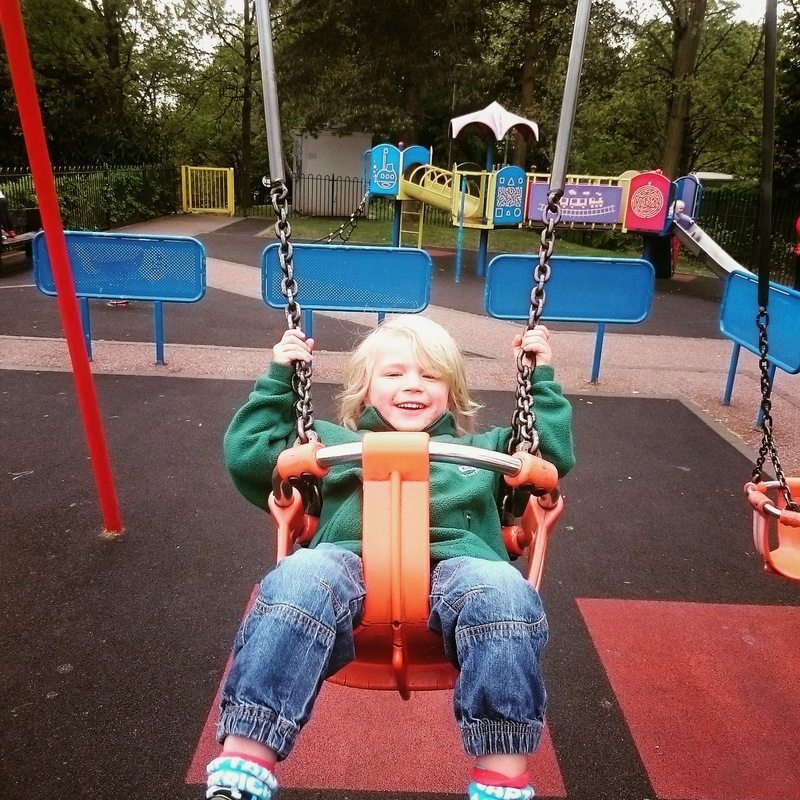 We firstly took them on the junior area where they ran free up and down the climbing frames, whizzing down the slides and learning how to kick their little legs properly to get height on the swings. After a bit TP got bored in this area and wanted to show mummy the big kids area, so naturally Daddy agreed and we made our way there. 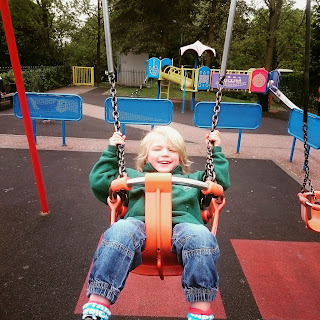 This area contains a cool dragon carved seesaw, individual metal bucket seat round a bout things (which make you feel very dizzy once you get off them), a big hammock like swing which you can lay down in and a awesome climbing frame/assault course which the kids and I loved going on. Once we'd err I mean the children had finished playing we decided to go and get the bikes from the car and let them have a ride round for a bit. They rode passed a group of men playing lawn bowls which they just had to stop and watch. 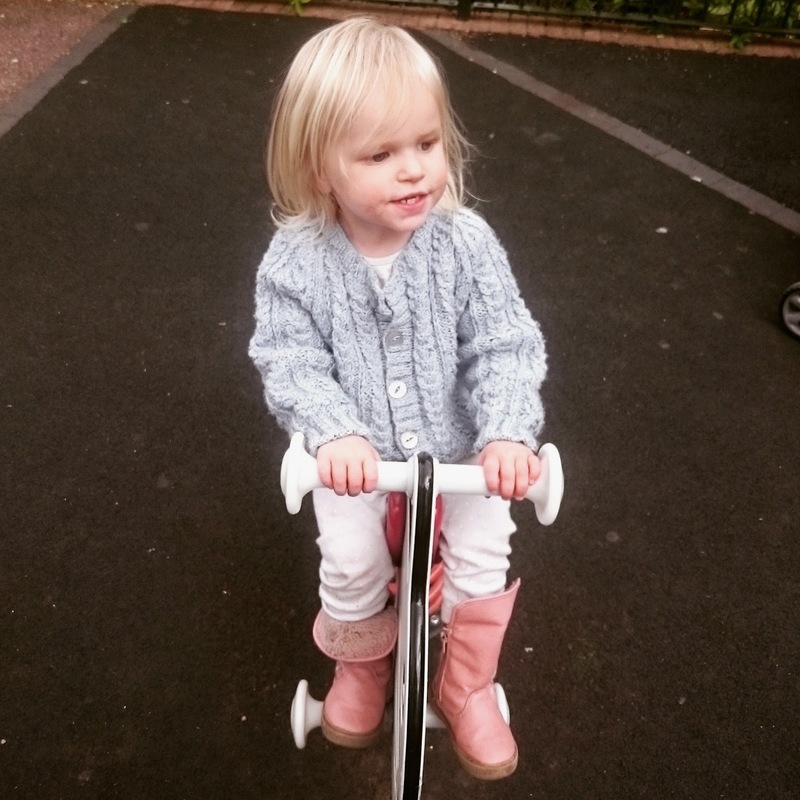 We took a lovely walk round the park and it's lovely gardens, the kids whizzing along on their bikes saying hello to everyone and anyone they passed on there way. We took a pit stop and sat in a lovely little area filled with bright flowers of every kind, also the path here was oval in shape which was great for the kids as they tried racing each other round it, I say tried TP just zoomed off and kept leaving poor L-A behind. 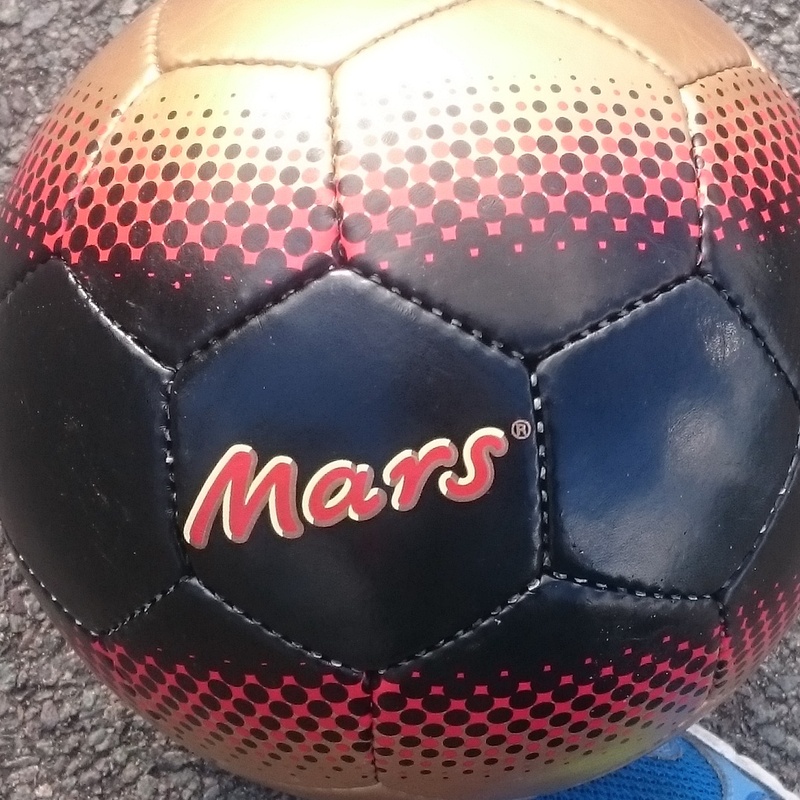 As it's F.A Cup Final time why not kick back and enjoy a Mars Ice Cream whilst watching the game. but also a box of Mars Ice Creams for us all to enjoy. 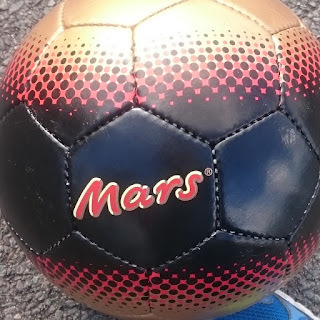 I took the kids to the park this morning to enjoy a kick about with their new football and now we'll kick back and enjoy the Mars Ice Creams we were sent whilst watching the match, not that I support either team but just for my mate Rob.... Come on you Gunners. Who would like to get their hands on some free Mars Ice Cream? not a weeks worth but a whole months worth of free yes free Mars Ice Cream up for grabs courtesy of the lovely people at Mars Ice Cream. To be in with a chance of winning all you have to do is enter my competition below, good luck all. This products sent to us for this post were sent free of charge and all contains is of my own wording. 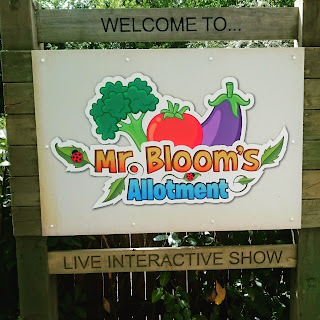 On Sunday my wife, children and I took a visit to Alton Towers but this wasn't any normal visit we'd been invited to attend the In The Night Garden Party celebrating Cbeebies Land being open one year. The children had no idea where we were going so as we turned on to the drive for Alton Towers they screamed "Daddy, Daddy we're going to Cbeebies Land, YEEEAAHHHH." Well as we had arrived at the park well before the party was due to start we made our way straight to Cbeebies Land so the children could try out the new Octonauts ride but unfortunately L-A was too short so I queued with the boys whilst Mummy took L-A on some other rides. We took the children on another couple of rides before making our way to the In The Night Garden Party which was situated in the Hospitality Suite, on our way we bumped in to the lovely Jaime Oliver, (no not the celebrity chef but better still the fellow blogger Jaime). At this point I must say I had no idea what the party was going be like, but peeking through the open door it looked like it was going to be a fantastic party for all the kids attending. When the doors opened and we were invited in the children didn't know where to go first there was so much see and to do. They got involved with making shakers out of baubles, sticky tape and lots of different beads etc. They decorated their own party hats and they also painted/decorated their own stone just like the ones Makka Pakka has. They got involved in various party games and listened to different stories whilst laying on really comfy pillows. 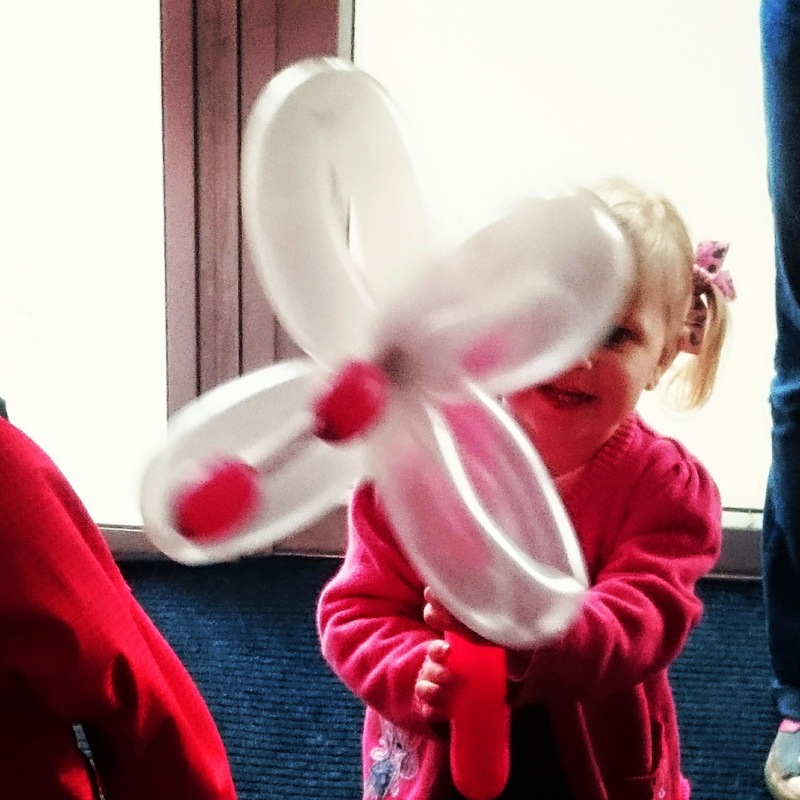 They also has some fabulous balloon sculptures made for them too. Then it was lunch time and we were all treated to a fabulous buffet consisting of both normal and veggie burgers & hotdogs and sandwiches and crisps for the kids. Then we were all informed that earlier in the day Igglepiggle had set a new Guinness World Record for the world's largest polar fleece blanket. 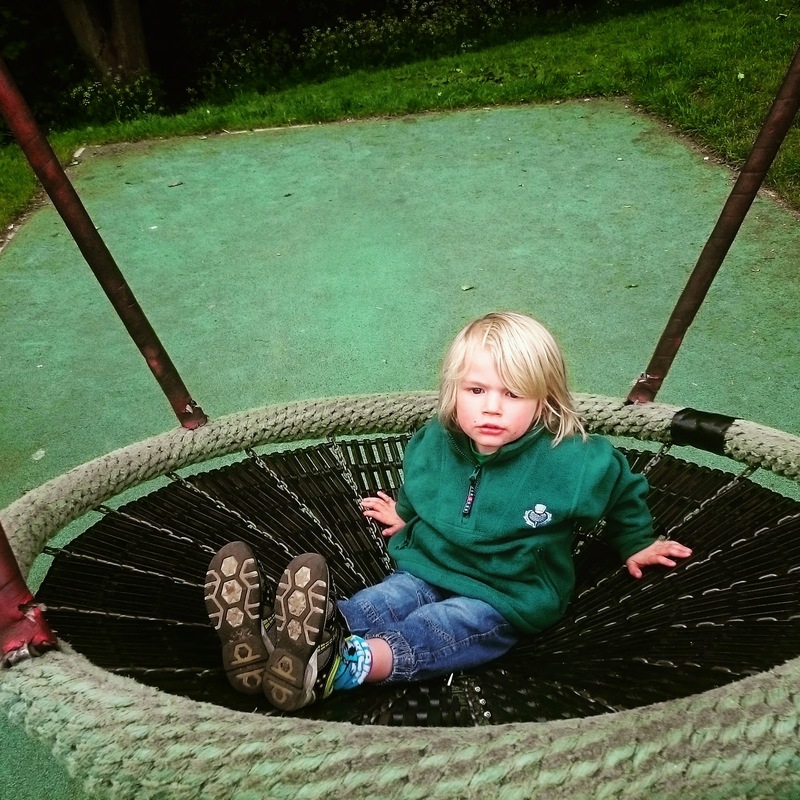 The record breaking blanket was made by Dreamtex Ltd, who manufacture the In the Night Garden Home Textile Collection, the record-busting blanket measures in at 98.8m sq. In comparison a normal children’s blanket measures 120cm x 150cm, so the blanket would be enough to cover 56 standard children’s beds. 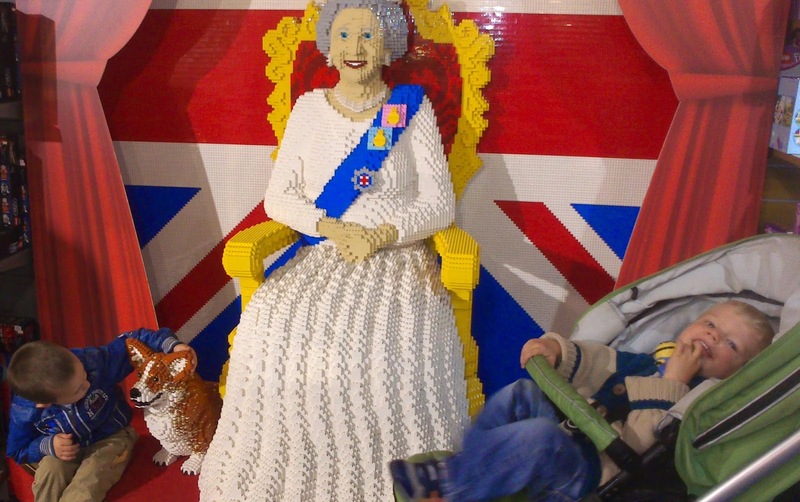 It took the team just 8 days to make, weighs 20kg and used 70m of thread around the outside of the blanket. After a bit more fun and games and meeting Igglepiggle and Upsy Daisy the party was close to coming to an end but before it did the children were gathered together to sing happy birthday to Igglepiggle and Upsy Daisy and help them blow out the candle on their fabulous birthday cake. Upon leaving the party the children were all handed a goodie bag each which contained a plush soft toy, a story book, a DVD and a money pot and a slice of birthday cake which they really enjoyed. 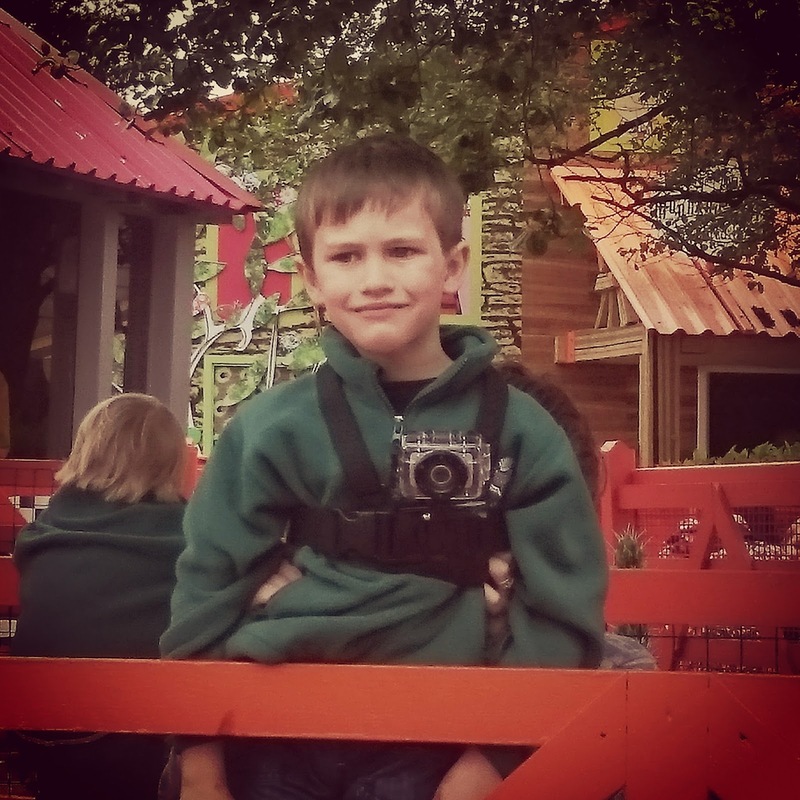 For the rest of the day we went round the park getting on as many rides as possible. This day out and party invitation was given to us free of charge and the views and photographs are all mine apart from the bit about the Guinness World Record which was supplied by the party organisation team. On Sunday my family and I will be visiting Alton Towers and attending the In The Night Garden Party at Cbeebies Land. 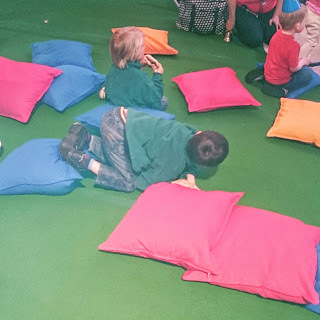 My children are totally unaware of what we've got planned to do on Sunday so it will be a massive surprise for them, they love Cbeebies Land and love In The Night Garden so hopefully they'll have a superb day. Until Sunday comes I'll keep the secret under wraps and not spoil the surprise so I'll stay quiet till then and let you all know how the day unfolded in my next post. As Britmums 2015 is fast approaching I thought I'd use a photo from Britmums 2013 of when I took the boys round London whilst mummy attended Britmums. Q Is For ...... QUEEN.